I require the slow motion playback for either Windows Media Player or Real Player. I had this previously with Real Player on my old XP computer but it does not appear on Windows 7. Can you help? 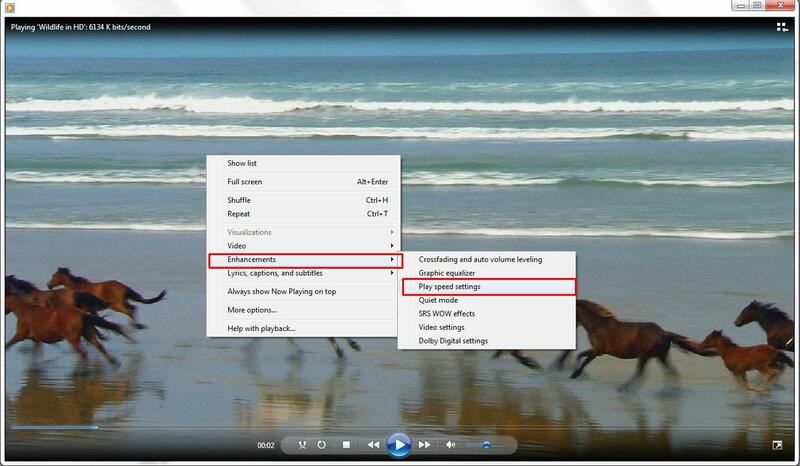 The slow motion playback is still available in the Windows Media Player application as an Enhancement. You can access it while a video is playing. Right click it and then choose Enhancements > Play Speed Settings. You will then have the possibility to adjust the playback speed. How can I play AVI files?